I live my life two times a year because every 6 months I get my hands on new version of Ubuntu, my favorite Operating system. As of this writing the next version of popular Linux distribution Ubuntu code named “Precise Pangolin” will be released world wide on 26th of April 2012. The LTS in the name means Long Term Support meaning, this version will get support from the Canonical for 5 years. This version will be best to deploy in the enterprise. 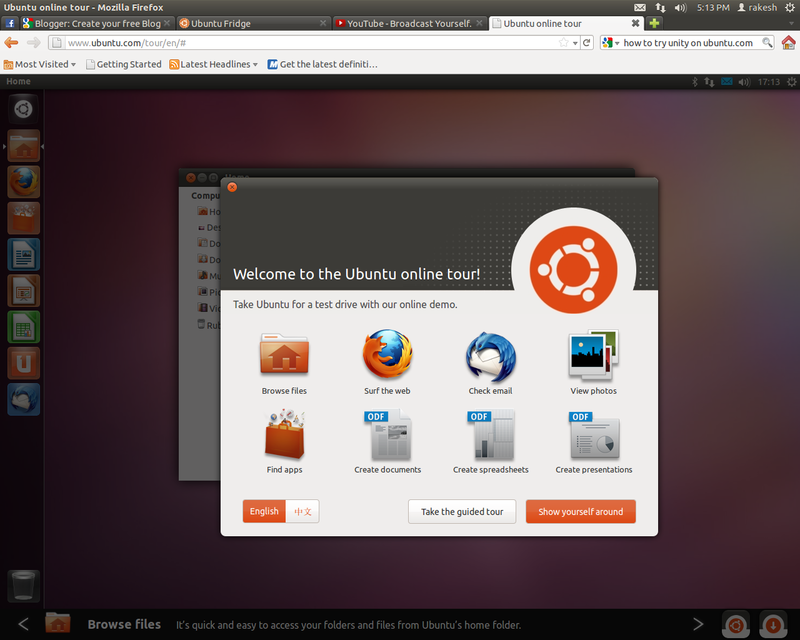 Ubuntu has its own User Interface called 'Unity' and Unity has been polished very well in terms of performance and looks. However there's a much talked about feature which we can see in this version. It's called HUD (Head Up Display) for application menus. HUD can be accessed by pressing the Alt key and typing in a description of what you want to do and then it returns a set of matching entries, including some fuzzy matching; i.e. (when you type options it can bring you preferences menu). Over time, it also learns from your previous choices to make the search more and more accurate. Go to https://wiki.ubuntu.com/Unity/HUD to find about more about HUD and see its screenshot. The default applications in Ubuntu 12.04 are the LibreOffice 3.5 as well as Rhythmbox as the default music player. 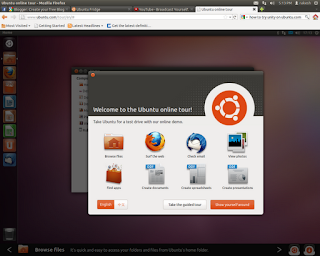 Finally if you want to demo of how Ubuntu looks and functions then, open your browser and see it in action http://www.ubuntu.com/tour/.